For Christmas this past year, my Grandma gave me one of her antique glass pieces. This piece, in fact. A yellow, covered candy dish that her mother (my great-grandmother) had owned and that my Grandma could remember being used around the house when she grew up. I like antique glassware, and I like antique glassware that has a family story attached to it even more. The dish is on display on my coffee table (the cats are very good about leaving it alone) and is usually filled with pistachio nuts. 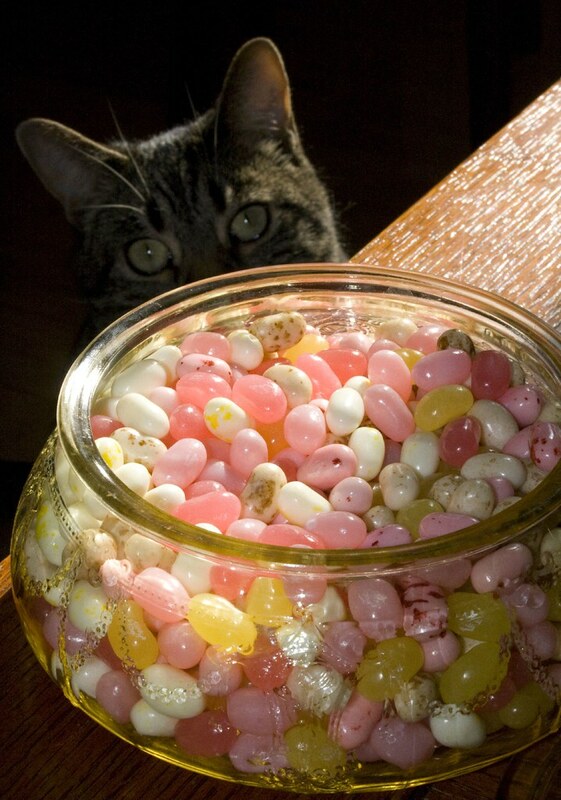 When my folks visited last weekend, they brought John and I an Easter basket with Paska, Kolache, sausage, red horseradish, some chocolate, and a bag of pink and yellow and cream colored Jelly Belly jelly beans. 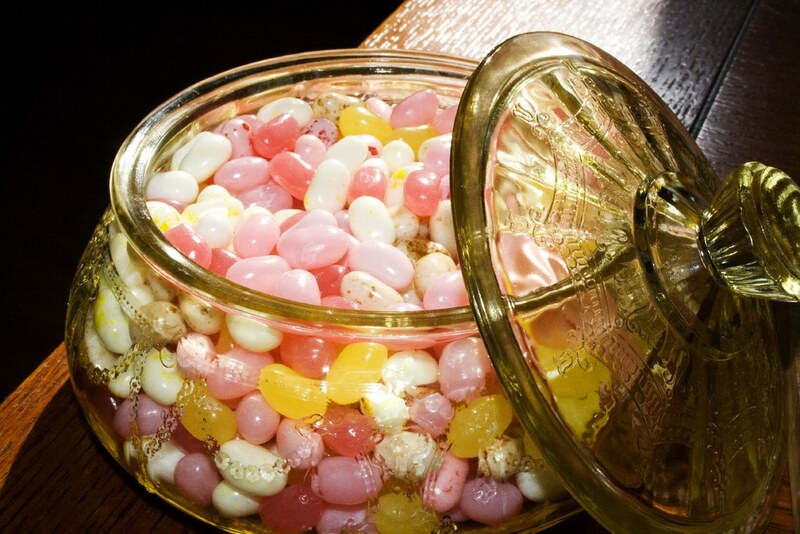 I decided that I wanted to be festive and put the jelly beans in the candy dish. Then I decided that I liked the way that the late-afternoon light looked coming through the living room windows and shining on the glass, and decided to get out my camera. Then Percival came by to see what was going on. Here is one of the dish sans kitty. The garden is coming along well. So far the tomatoes and peppers are the early winners. The eggplants just have flowers so far.